Andy Black graduated in medicine and surgery from Guy's Hospital, London in 1989 and became a Fellow of the Royal College of Surgeons of England in 1993. Between 1990-1994, Andy practised as a surgeon in various academic hospitals in London and the South East of England, and also worked as a Prosector at the University of Oxford. In 1994, Andy joined the strategy consulting practice of Andersen Consulting where he spent almost 10 years as a consultant in the health and life sciences sector, latterly as a Senior Manager in Accenture's global Health and Life Sciences practice. Andy's principal focus was in supporting the formulation and implementation of R&D operating strategies for major pharmaceutical companies. He also worked closely with major Regulatory Agencies in engagements developing strategy and implementing change in the licensing of pharmaceutical products and their safety evaluation. Of note, Andy was instrumental in the acquisition of the General Practice Research Database (GPRD, now CPRD) by the Medicines and Healthcare products Regulatory Agency (MHRA) and during this time he seconded to the Agency. 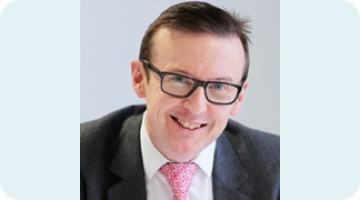 In 2005, after a period as an independent consultant in which he led the operations of CMR International and supported other pharmaceutical clients, Andy went on to co-found Kinapse and was its Chief Executive until June 2016. Kinapse provides a range of life sciences 'Advise-Build-Operate' services and has grown to a team of c. 700 professionals who serve 16 of the top 20 pharmaceutical companies and the European Medicines Agency from operations in US, Europe and India. Andy remains on the Board of Kinapse as a Non-Executive Director following the acquisition of the business by HgCapital in 2016. Kinapse is one of the UK's life sciences success stories having featured in the Sunday Times Fast Track for several consecutive years as one of the fastest growing and profitable private companies in the UK. Kinapse generated a 16.1X return and IRR of 126% for its previous private equity investor, Synova Capital, at the time of the acquisition by HgCapital. Advising various Private Equity firms on the life sciences market and potential investments. Developing the health and life sciences research strategy for a major UK university, focused on forging new strategic partnerships. In addition to his roles at MedInnovate and Kinapse, Andy is the Managing Director of Black Life Sciences Ltd., engages in a range of pro bono consulting for not-for-profit organisations, and has published various thought leadership papers on the strategic development of the life sciences sector.